When a photography professional has signs made for him, you know that he will insist on a top quality print job. After all, high quality printing is what he does for a living. 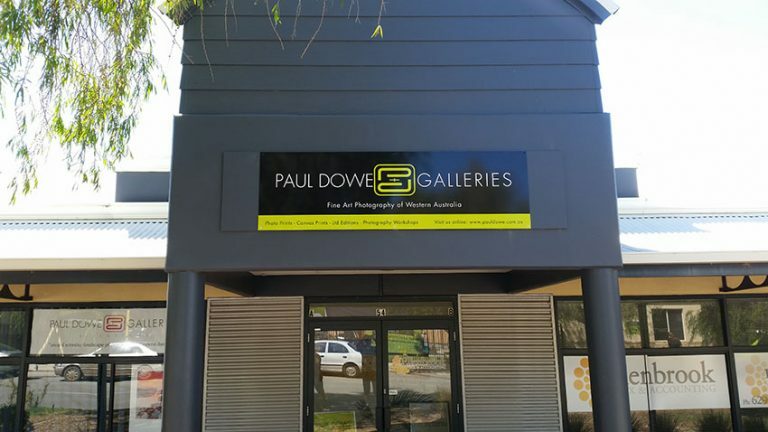 So, when Paul Dowe Galleries wanted a sign company to make signage for their building, the only place they asked was Perth Graphics Centre. 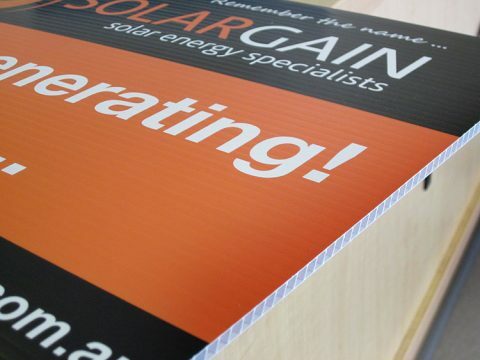 Using a high quality aluminium composite panel, installed with care into concrete panel, the sign will last for years. We also laminated the face with a high gloss, outdoor durable, UV absorbing laminate which will ensure the sign doesn’t fade or lose its sheen. 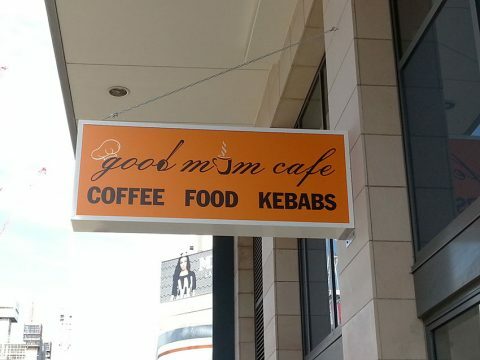 While the design is simple, it’s effective. 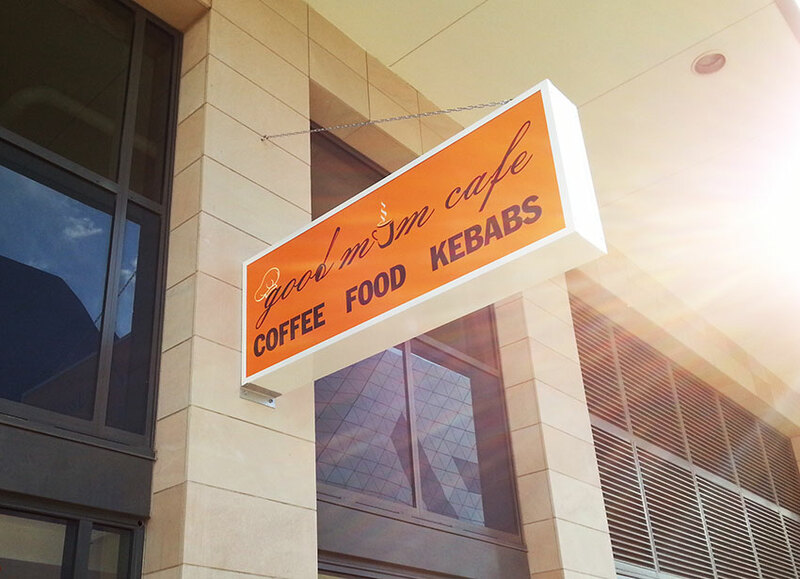 With high contrast text and bright colours, signage like this has never been better. 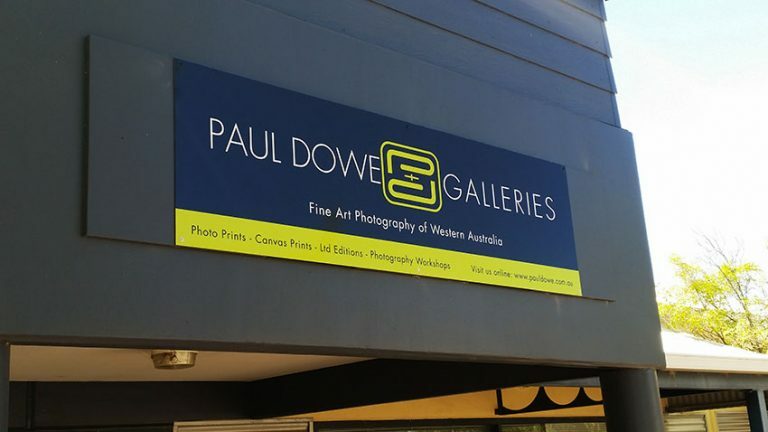 When you need signs and you want them to look great for years, like Paul Dowe Galleries, you should choose Perth Graphics Centre. 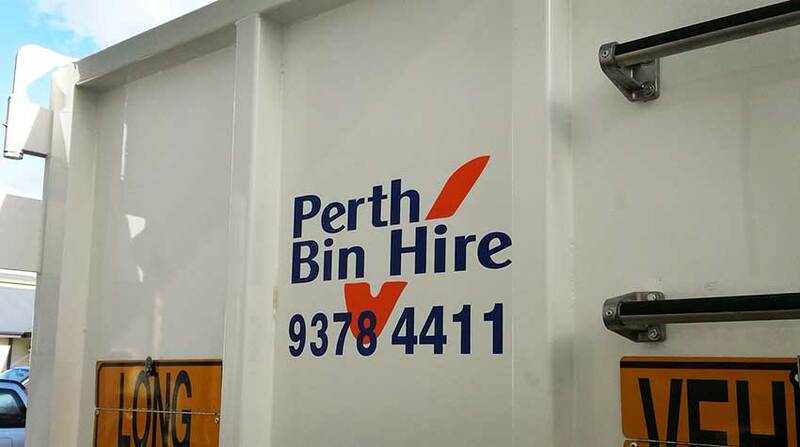 When you next order corflute signs Perth Graphics Centre should be your first port of call. 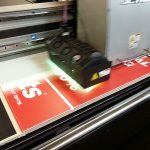 With refined production processes and lightning fast printing, we can make cheap corflute signs that get your message across. 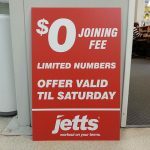 Perth Graphics Centre can also print single sided corflute signs and double sided corflute signs – the choice is yours. Our corflute signs are also available with eyelets and there’s always the option of triangular A-frames in corflute. 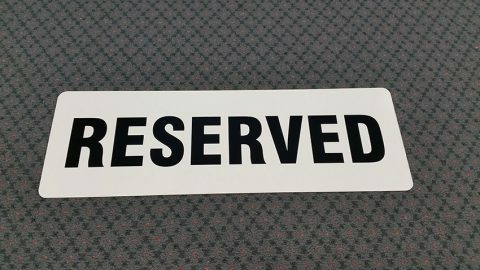 Most of the corflute signs Perth Graphics Centre makes are made from 5mm thick polypropelene but there is also the option of 3mm and 8mm, depending on cost and how long you need them to last. 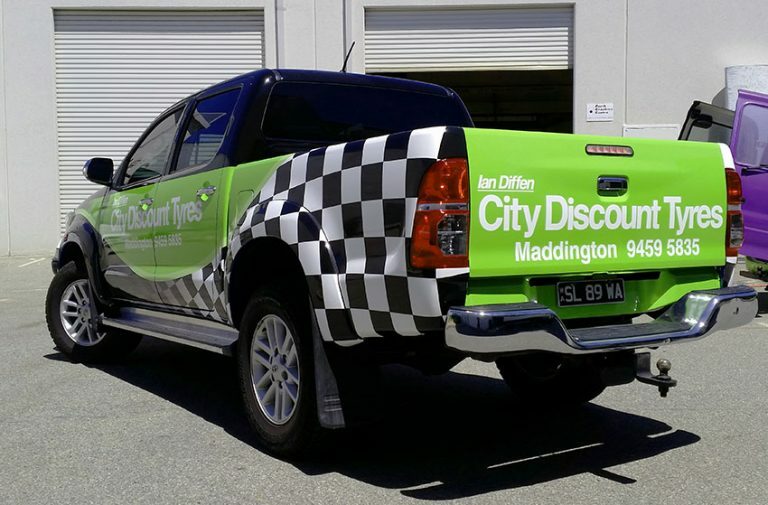 Whether it’s one colour or full colour, you can rest assured knowing the price is the same. 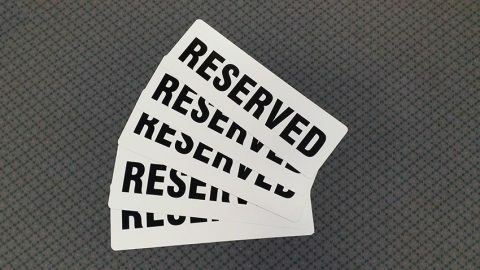 Event signage? No problem. For sale signs? Easy. Temporary wayfinding? No worries. 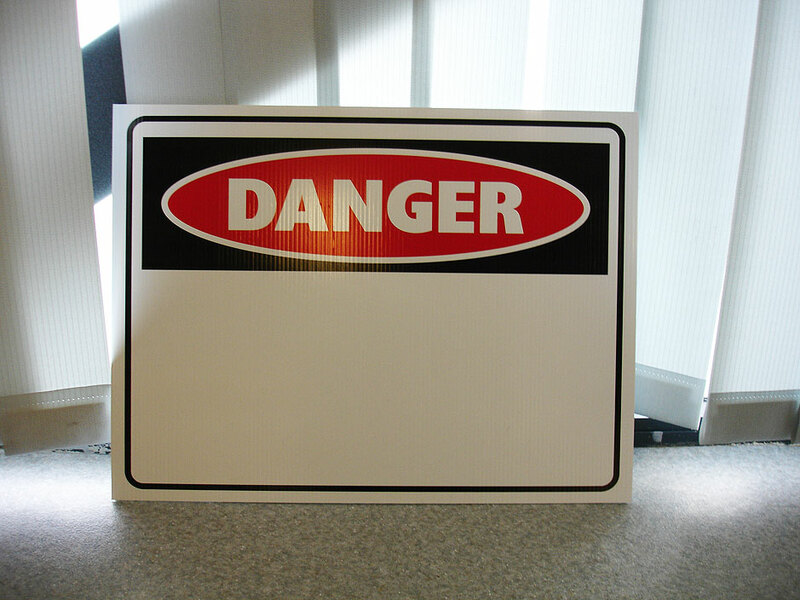 When you need cheap corflute signs, Perth Graphics Centre is your one stop sign shop. 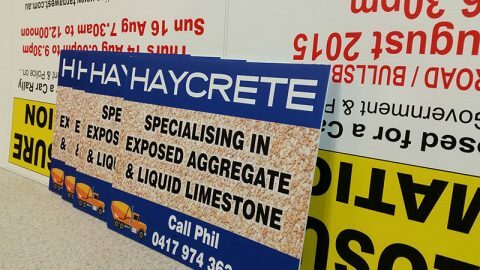 When you want a cheap, lightweight sign, corflute is the product to choose, and when you need corflute signs, Perth Graphics Centre is the place to head. 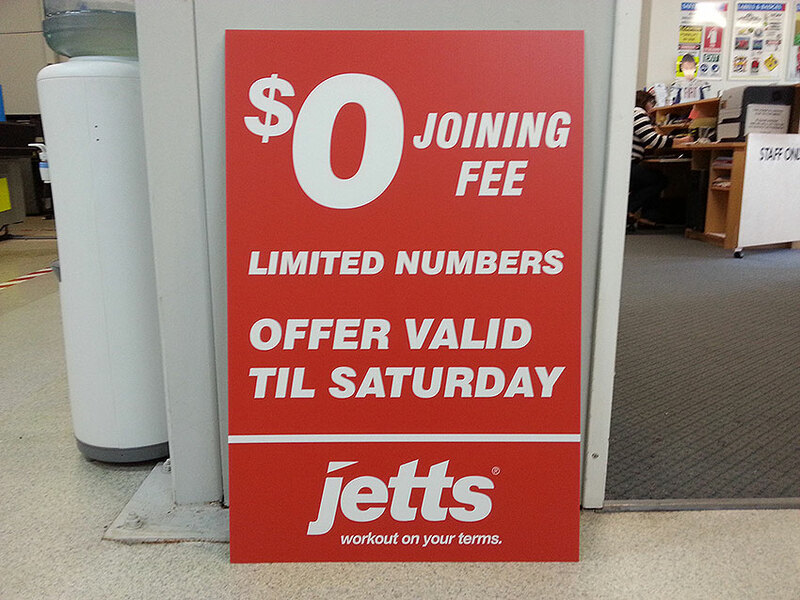 Our customers keep coming back for more corflute signs because Perth Graphics Centre prints them quickly and cheaply. And with Perth’s best service, what more can you ask for? 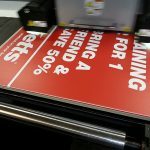 Rather than fiddle with costly setup for screenprinting, Perth Graphics Centre prints corflute signs with a state of the art UV-curable flatbed printer. The colours pop, the edges are crisp and the inks last outdoors for years. You can see above a photo of our printer in action, with liquid plastic inks which cure and bond to the surface when passed by a UV lamp. 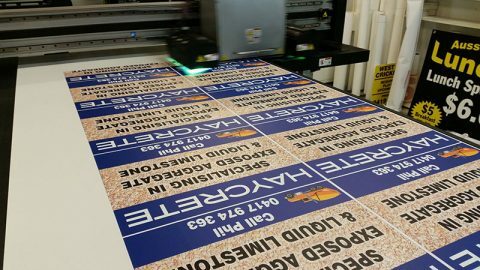 The results are spectacular and because we print all our corflute signs in house, there’s no waiting around. 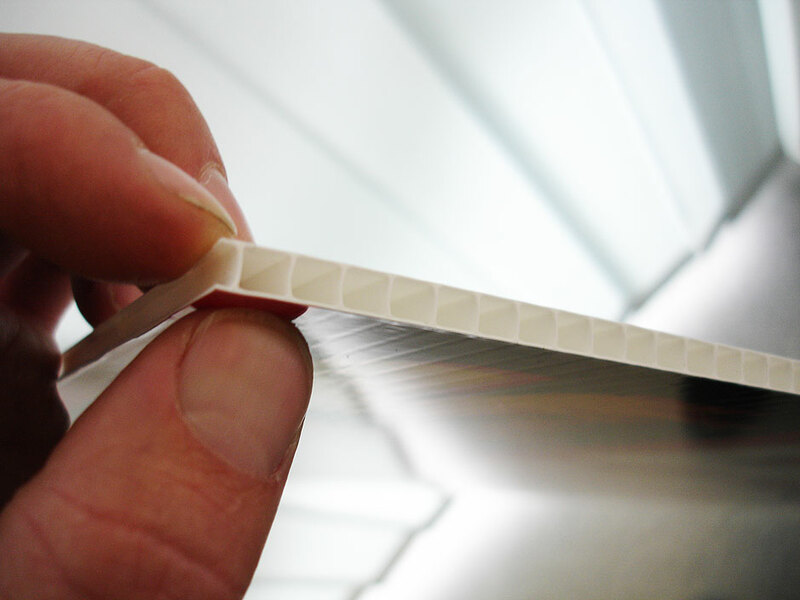 If you want blank corflute sheets we can supply those, too. 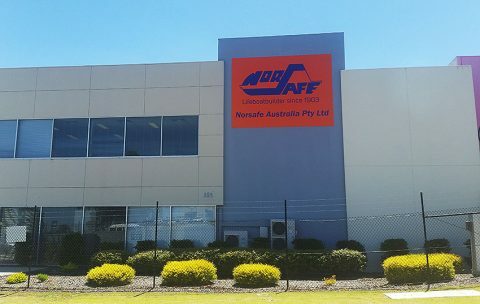 With our printers running every day, we’re fast and because we’re always making corflute signs, Perth Graphics Centre can keep the costs down, too. So, when you want corflute signs, Perth Graphics Centre should be the first place to head. We’re looking forward to helping you with your signage needs. 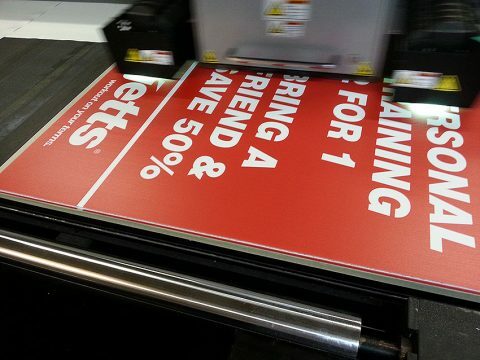 Did you know you can buy your corflute sheet from Perth Graphics Centre? We always have corflute in stock, and we can either supply corflute sheets, or we can print corflute signs. 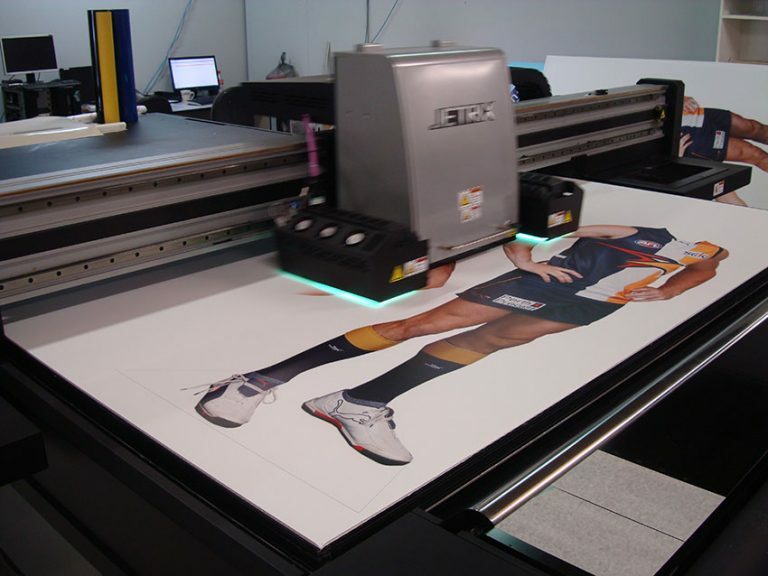 Perth Graphics Centre stocks the standard sheet size of 2440mm x 1220mm and you can choose from 3mm or 5mm sheet. 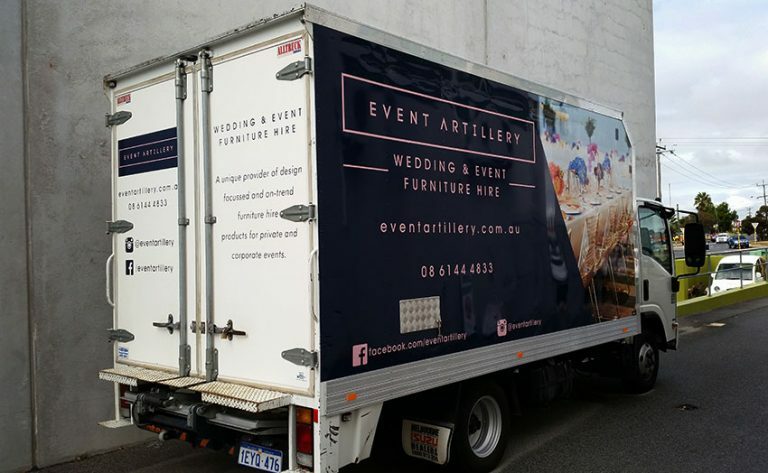 If you are collecting corflute sheeting from Perth Graphics Centre’s Malaga office, we’d suggest ensuring you have the right size vehicle for transport. A van, ute, flat-top truck or large trailer will do the trick. Contrary to popular belief, not all corflute signs are made the same. Because corflute has a low surface energy, it is quite difficult to get inks to adhere. Seen above is an example of poor ink adhesion. The company which printed these signs, didn’t take extra steps to improve the ink’s adhesion. However, here at Perth Graphics Centre, we do. 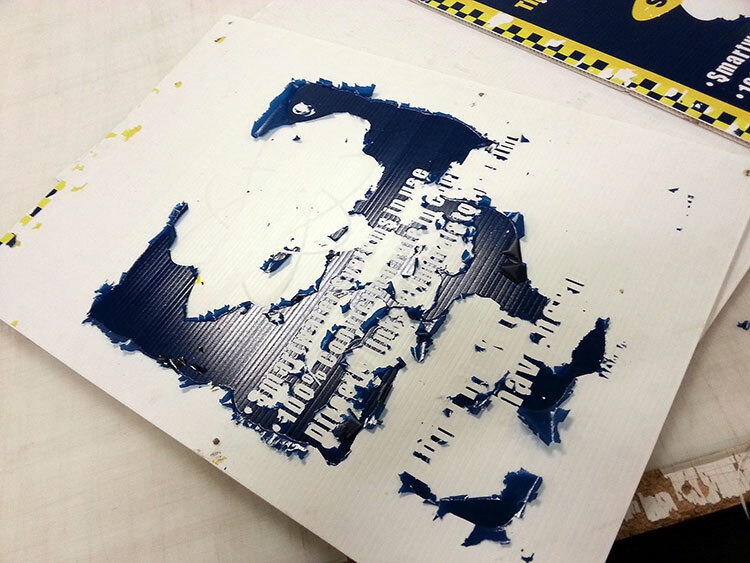 Using a pre-printed primer (the process is shown above), the inks actually cling to the corflute meaning no moisture absorption can lift the ink off. The primer we lay down onto the surface also helps prevent the inks from scratching off. 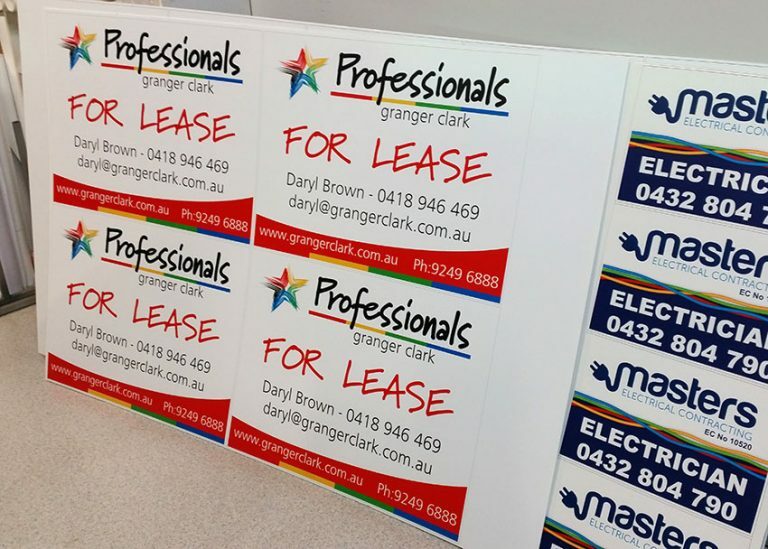 If you are ordering corflute signs from Perth Graphics Centre, you can be sure that your corflute signs will last the distance, and won’t peel, flake or lift. That means your business signage looks its best, and that imbues an air of quality. 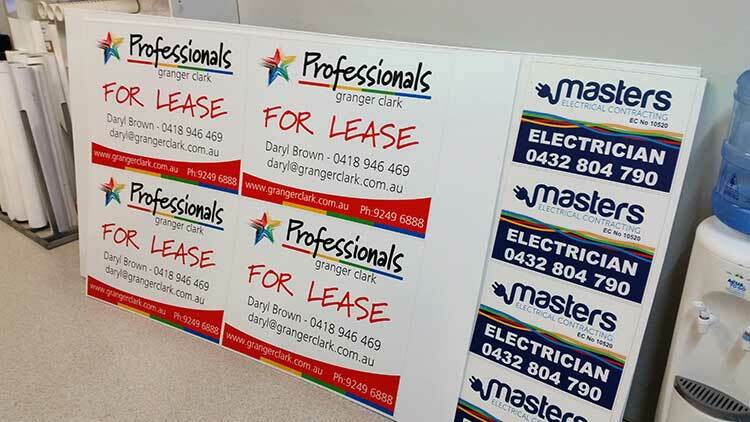 The next time you need corflute signs, make sure you get them from Perth Graphics Centre. 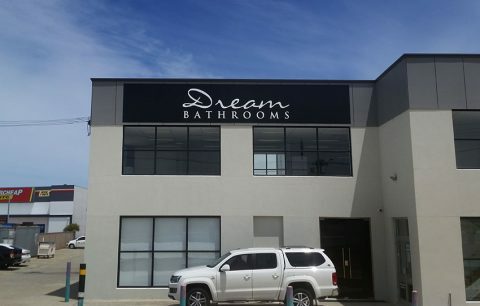 Are you looking for a sign company to handle your branding? 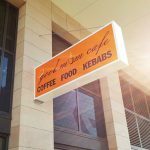 Do you need more exposure or updated signs for your Perth business? Then look no further than Perth Graphics Centre. 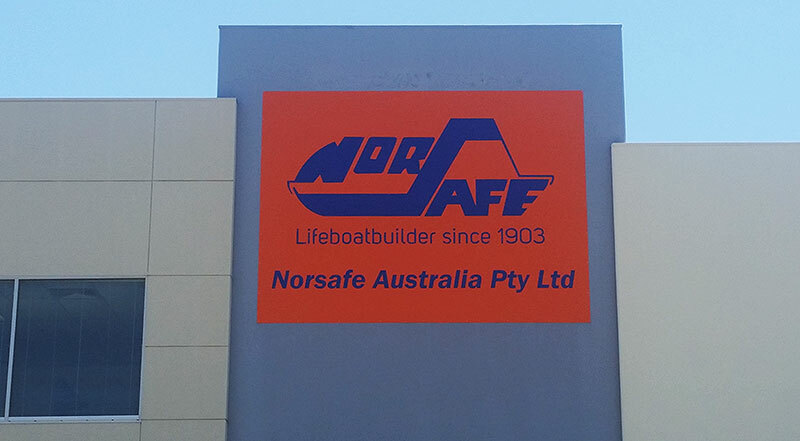 In Cockburn, we helped Norsafe to implement a new logo, in bright, bold colours which befit its brand image. With the orange background most likely to fade over time, we’ve painted it in a long lasting enamel, and used high performance vinyl for the lettering. To ensure it stays as flat as possible, we’ve kept the joins in the sign to a minimum, using large panels of aluminium composite. All the while, the logo has been kept to the branding style guide. When we take on a project, we carefully check the style guide to make sure the branding stays true to the company’s image. If a deviation from a branding style guide is necessary due to size or location constraints, then consultation is paramount and we always get an approval on all our work. This keeps our clients happy and ensures that they turn to Perth Graphics Centre for a trusted signage job. 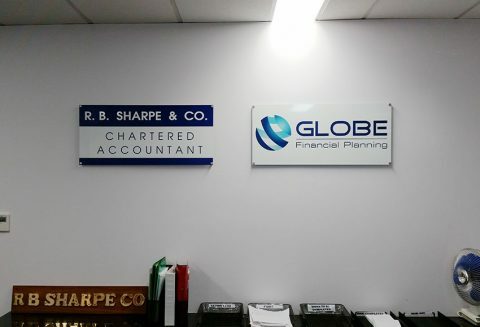 Reception signs are a must for any Perth business. It gives an air of professionalism and helps to cement your logo and branding in your customer’s mind. 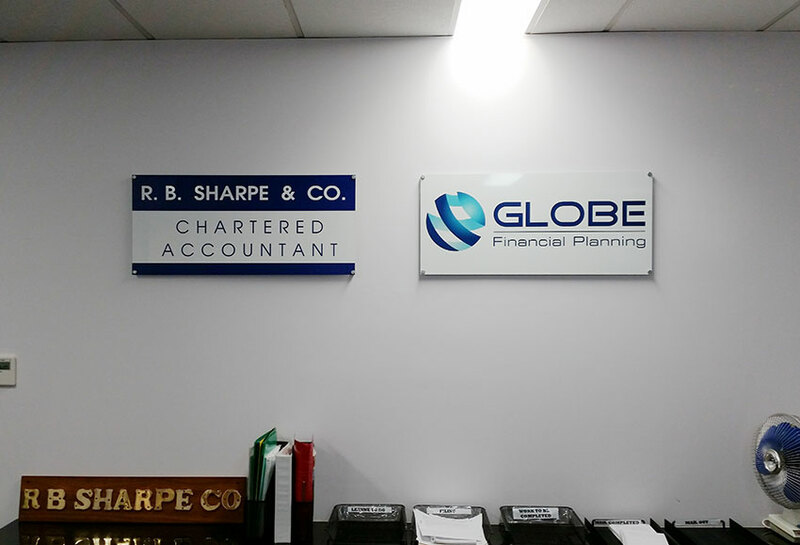 Whether you go big with a large acrylic panel or you keep it nice and simple like the signs you see above, the choice is yours. 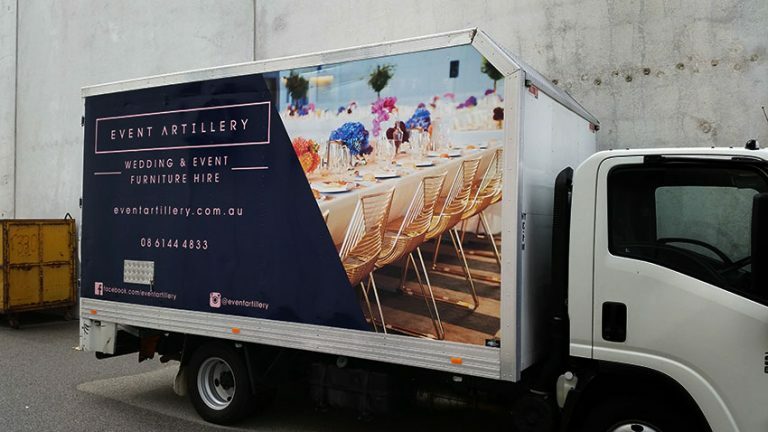 Perth Graphics Centre is happy to make recommendations based on the area you have and how large you want to go. Most of the time we use brushed silver standoffs as you can see above. But we can also use hidden fixings which give a cleaner appearance. As they say in life, you get what you pay for. The best thing to do is contact us for further information. Click here to send us an email and we’ll get back to you very soon. 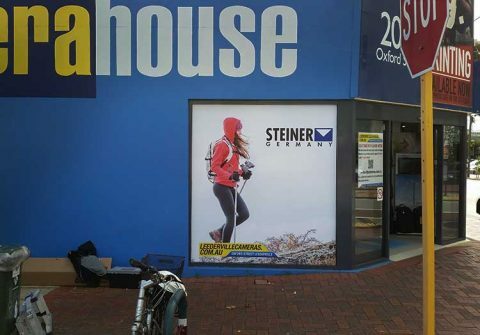 If you have a retail business then having a lightbox is a surefire way of attracting passing traffic. 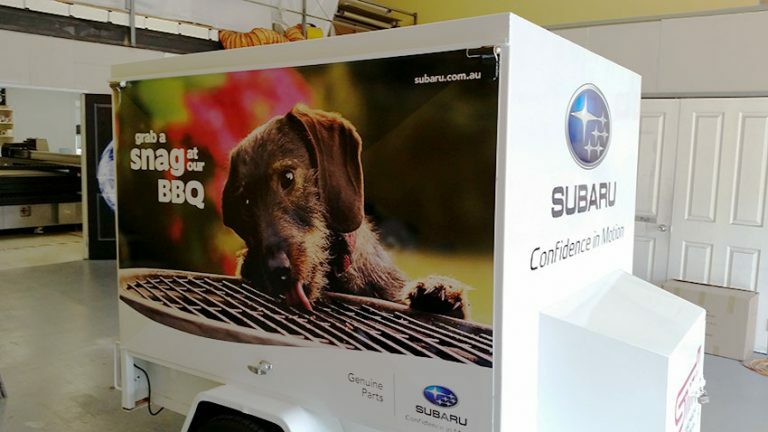 Here at Perth Graphics Centre, we specialise in lightbox manufacturing and we’re sure that our lightbox signs will help your business stand out. 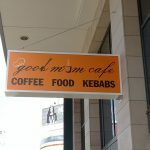 This lightbox we created for the Good Mum Cafe in Perth is a great example of how to create interest. It’s not overpowering, but with its bright colours and bold design, it attracts the eye. Using high quality aluminium extrusion and outdoor-grade paints and inks, our lightboxes will last for years. Our lightbox manufacturing also includes LED lighting which will provide a far longer lasting light, as you don’t have to change bulbs light you would with fluro tubes. And we can design and install. 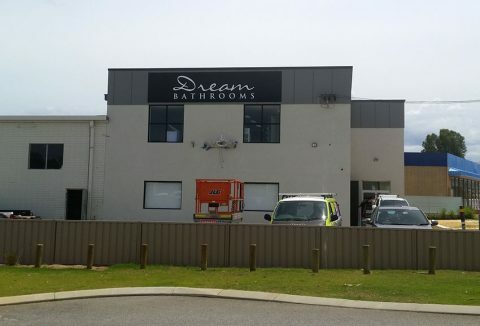 When you think of lightboxes, think Perth Graphics Centre. 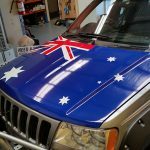 One of our customers came in and asked us if we could do a bonnet wrap on his Jeep Grand Cherokee. The answer, of course, was yes. But rather than simply wrapping the bonnet in a matt black or even a gloss black, this time, the request was a little different. 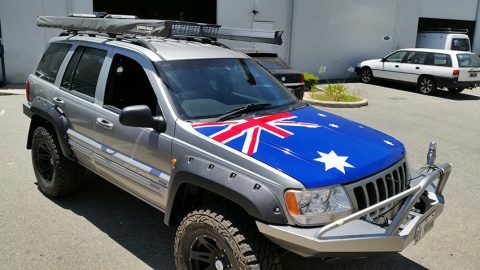 As you can see here, he asked for an Australian flag. 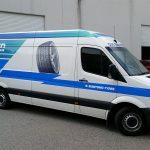 For us who do vehicle wraps all the time, it wasn’t a problem. And because we use Avery vinyls and laminates, the adhesion and longevity are guaranteed. 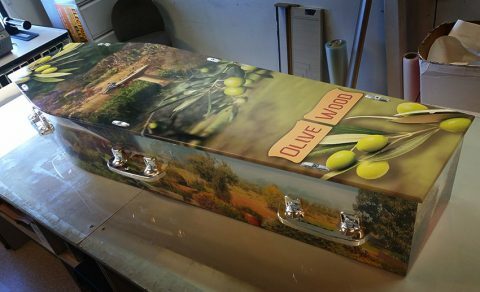 The application took a couple of hours and the customer was over the moon. 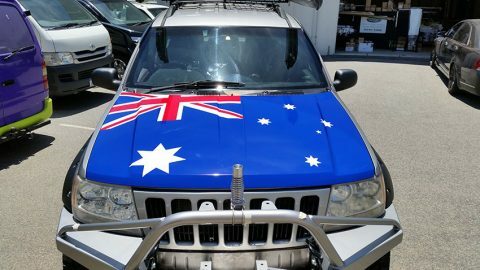 Of course, we can do bonnet wraps in any design and for any car. The only limitation is your imagination. 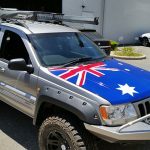 How do I care for my bonnet wrap? 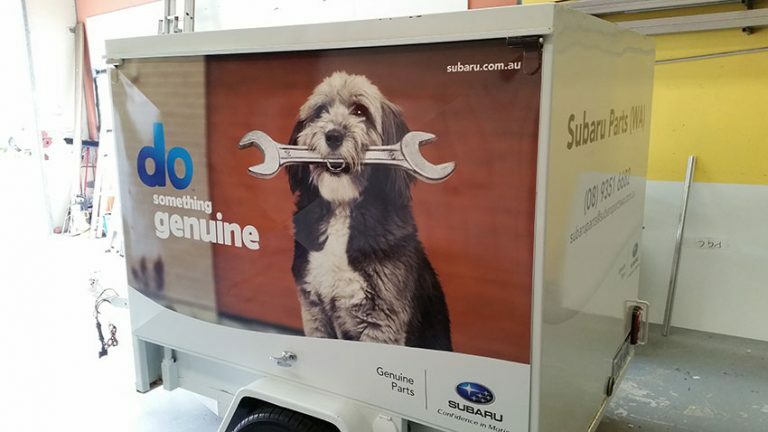 Looking after your bonnet wrap is easy. Simply wash it by hand (don’t use a high pressure cleaner) and wax it afterward. Don’t use a cutting compound or polish, but plastic polishes are fine. 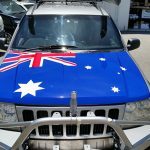 If you’d like a bonnet wrap then simply head to our contact page to enquire. We’d love to hear from you. 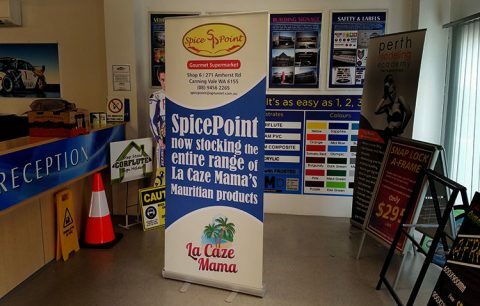 Roll up banners, pull up banners, trade-show banners, shopping centre banners – call them what you will, they’re all the same. These light, portable banners are cheap, quick to produce and get your message across effectively. 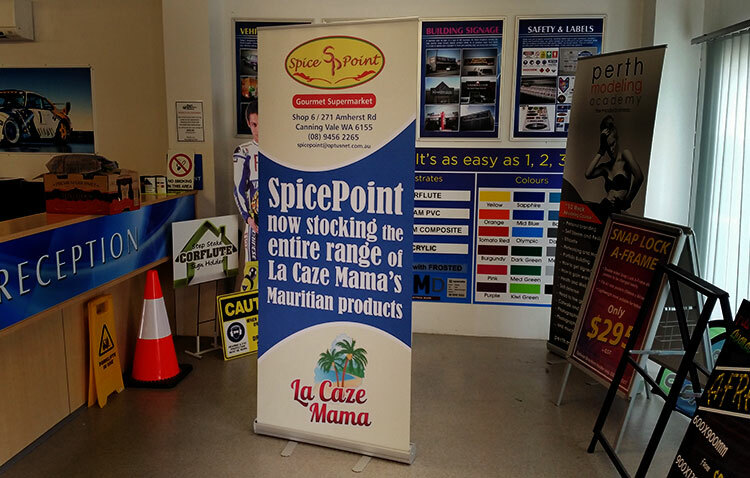 There are many options for roll up banners, but seen here is the most popular – a two-metre tall roll up banner with two swing out feet and carry case. 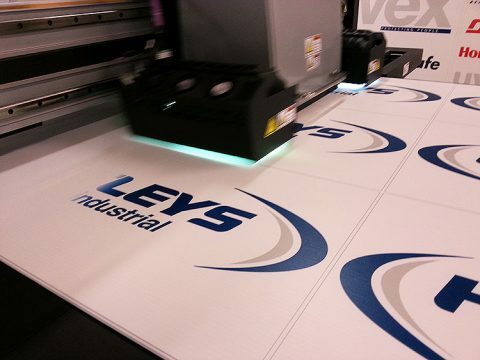 The with is 850mm, which gives you a good amount of room to place your logo and a few details. We always advise people to keep the text simple and clear, with no more than four bullet points. Adding photos to your roll up banners is always a good idea, too. If you want to attract attention, use bold, bright colours that tie-in with your logo or branding. And if you have a style guide for your brand, we can make the specification work within the size of our roll up banners, too. The banner assembles within 30 seconds and you don’t have to be two metres tall to be able to put it up. Simply attach the stability pole to the centre of the top rail and then simply push the banner up. Once it’s up, then slip the pole into the back of the banner base, and you’re done. 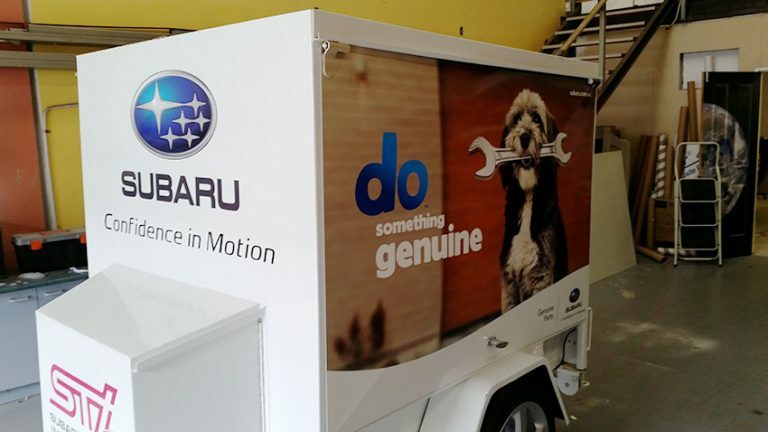 Of course, if you’d like to see how one of our roll up banners gets put together, then we have demonstration units in our office and would be happy to show you. If you are in need of roll up banners, then head to our contact page and ask for a quote. We’d love to hear from you. Morley’s Coventry Markets is a bustling centre with plenty of traffic and good exposure. Which is why any signage that is used to promote a shop should be bold and bright. 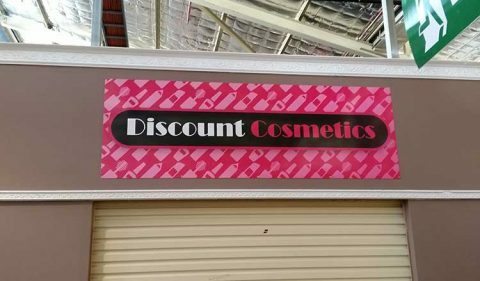 For Discount Cosmetics, this is exactly what we’ve done. Using aluminium composite panels with full colour print, we’ve gone for a hot pink that really grabs attention. Contrast that with white text and a black background and you’ve got signage which does its job very effectively. The trick to making shop signage work is taking into account the background it’s going on. Is there a frame or a border you can use? Which side of the shop faces the most people? And what colours do you want to use? Answering these simple questions can help to get a picture of how it should look. Make the sign stand out on the background and keep its message nice and simple. 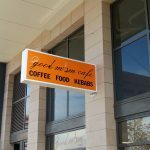 Perth Graphics Centre prides itself on making the best signage for shop fronts, so that shop owners get the best exposure and the most benefit for their outlay. 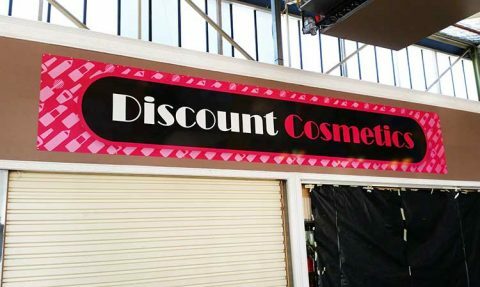 And whether you’re on a budget, or you want something that fits in to the Claremont Quarter, Perth Graphics Centre can manufacture and install any shop signage to suit. More and more Perth business are coming to PGC for window signage. 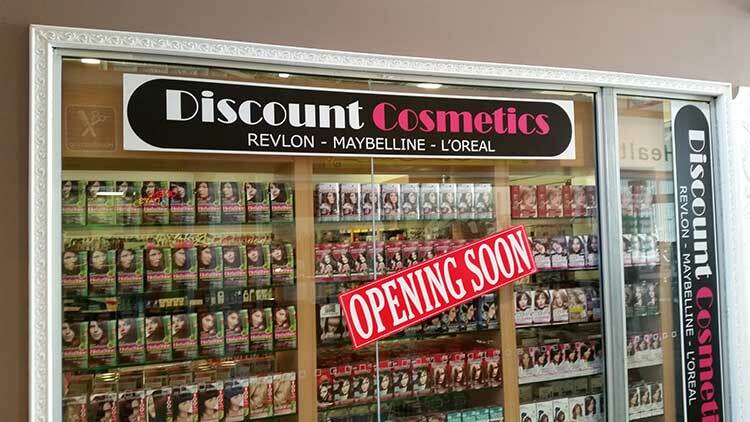 Perth Graphics Centre knows glass signage and how to best make use of your windows. 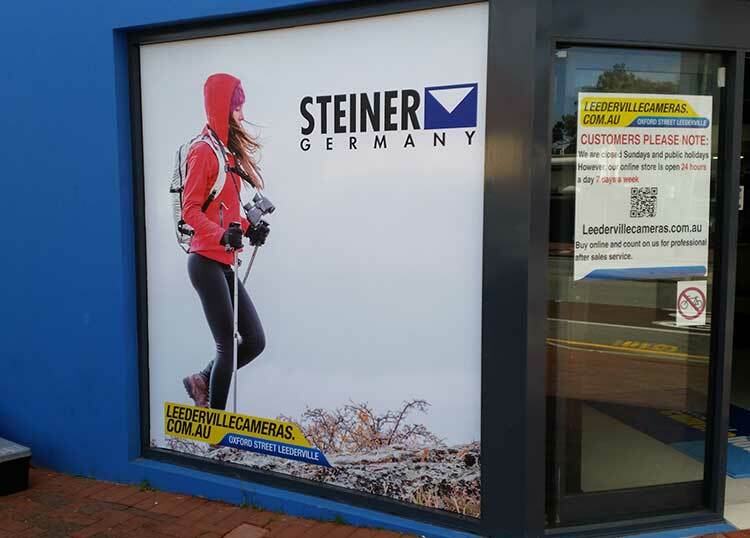 Take this window for Leederville Camera House, for example. 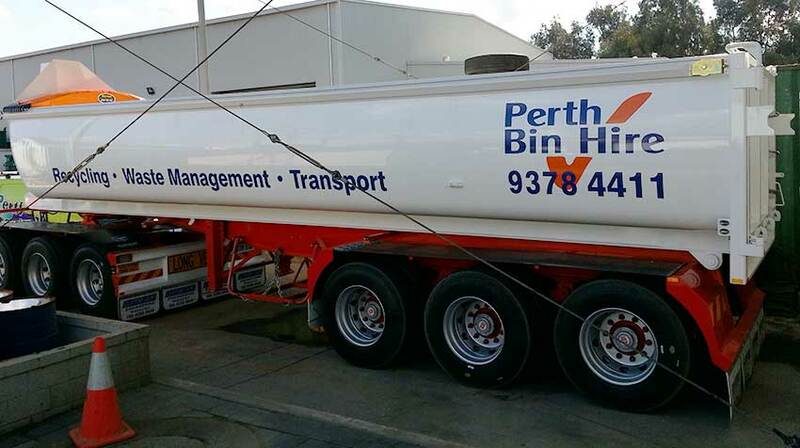 Perth Graphics Centre was called in when a supplier from over east supplied the wrong product for the job. With our machines primed and ready to go, we were able to turn the job around in a couple of days. 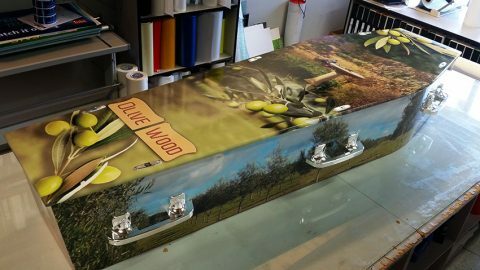 The artwork was prepped and we printed the job on our large format printer using outdoor inks. We then hustled off to site to get the job installed. Installation time was less than an hour, meaning the business wasn’t put out and the message was up straight away. 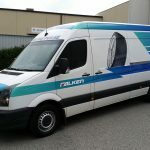 For us, this is a simple job and for the customer it’s important to have the graphics up to get advertising out there. 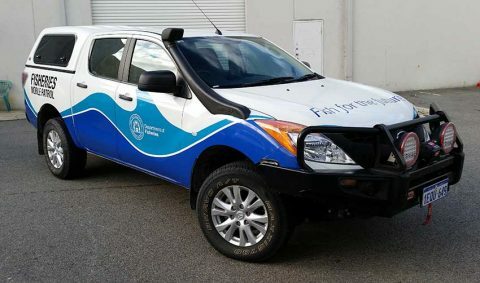 Thus, if you need window signage, you need to see Perth Graphics Centre. 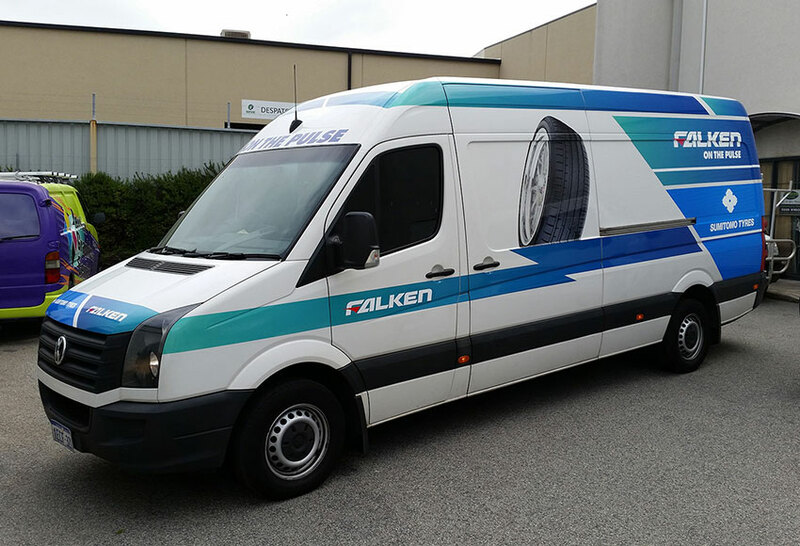 Fleet signwriting may seem like a simple task, but there’s a lot more to it than meets the eye. 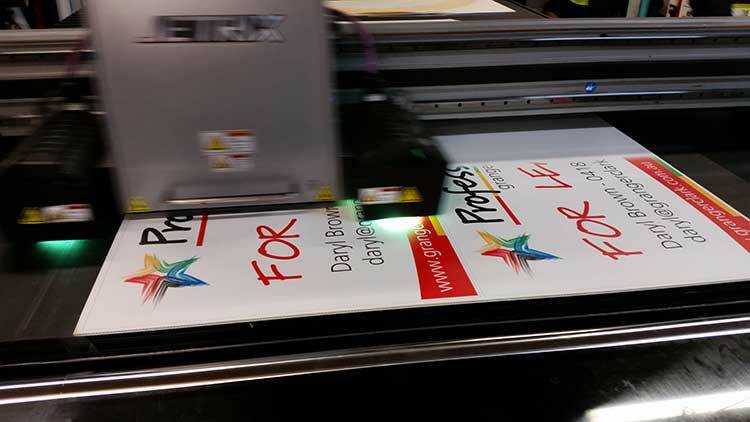 Here at Perth Graphics Centre, we cover all bases, including signage materials choices, ink types, the use of protective overlaminates and surface preparation. 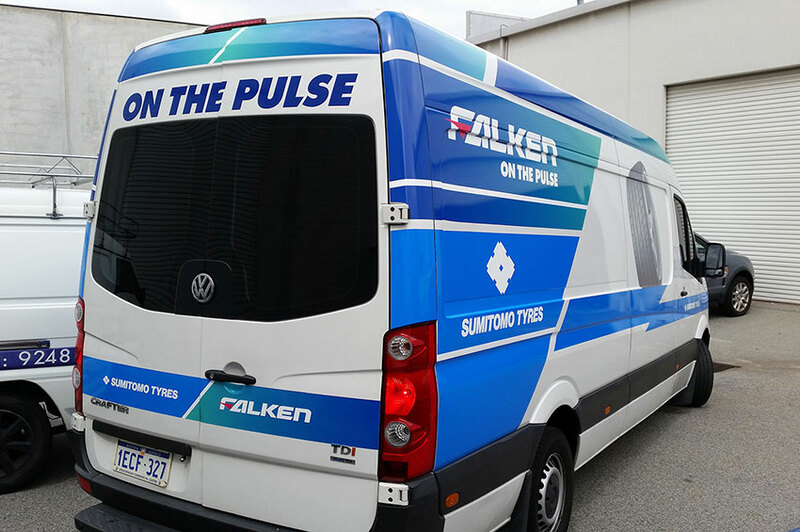 When signwriting a fleet, there’s only really one choice for vinyls – cast. We use a variety of cast materials, but we’ve settled on Avery vinyls because of their quality, colour consistency and printability. To make sure it all matches, we also use Avery overlaminates. The expansion and contraction of the two vinyls is then equal, and why is that critical? So that you don’t get any lifting or curling of the edges. Ink choices are also very important, which is why we only use outdoor-grade solvent-based inks. Compare how long enamels last outside in comparison with water-based paints and you get an idea of why we’ve opted for the stronger inks. Solvent-based inks also give you a far wider colour gamut meaning we can match corporate colours much better. And with our gloss levels being comparable to that of paint, it simply blends in. 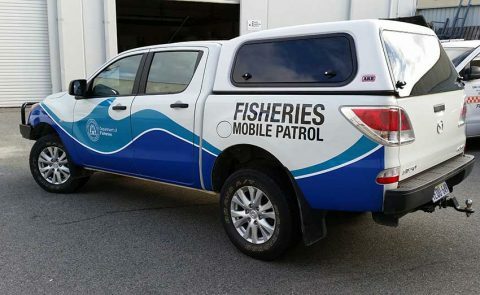 Seen above is another one of the Department of Fisheries vehicles. 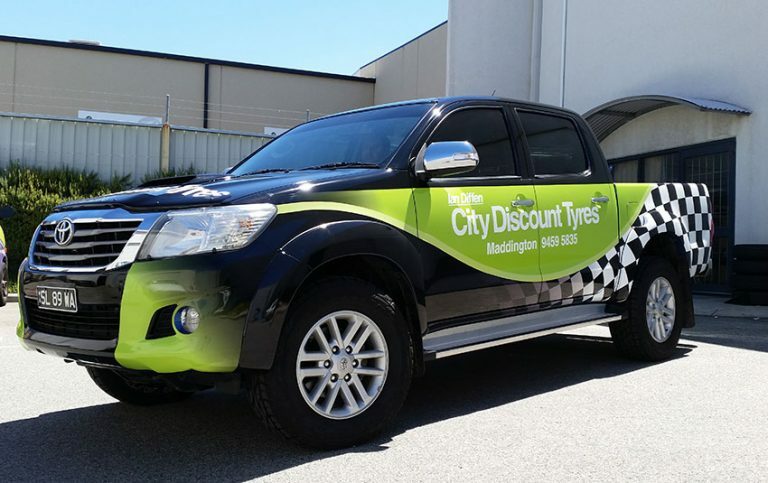 Perth Graphics Centre was selected as the preferred tenderer due to our knowledge of fitting and printing. But our pricing is also another reason to visit us. 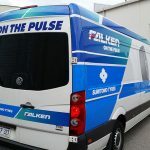 When you need fleet signwriting done, visit the experts at Perth Graphics Centre – we’re your fleet specialists.